As usual I forgot to include the price in the hang tag picture. Sorry. 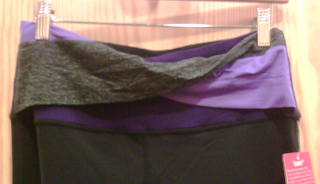 Also I hope Lululemon doesn’t mind me photographing garments. If so please email me and let me know. I didn’t try these on but there very similar to Astro pants except that the Power Purple and Grey portion of the waist can come completely away from the waist like a faux belt. not sure what the reason is for that construction. It also came in an Oasis/River Rock and Grey waist and the rest of the pants were also black. 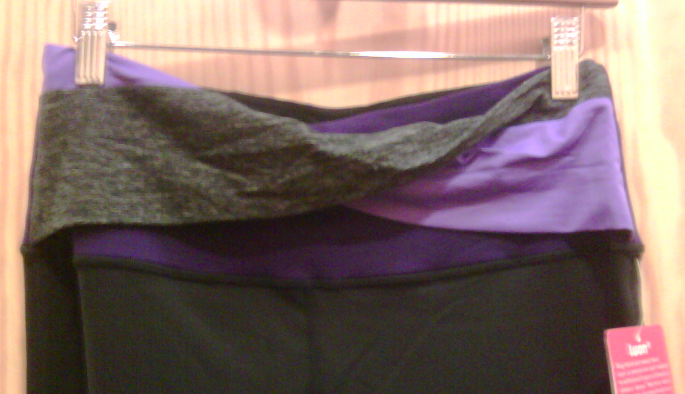 Both color combinations are really pretty so if your looking for this type of pant give them a try.